At this step of the wizard, select attributes you want to restore. This step is only available if you have chosen the Selected attributes only option at the previous step. 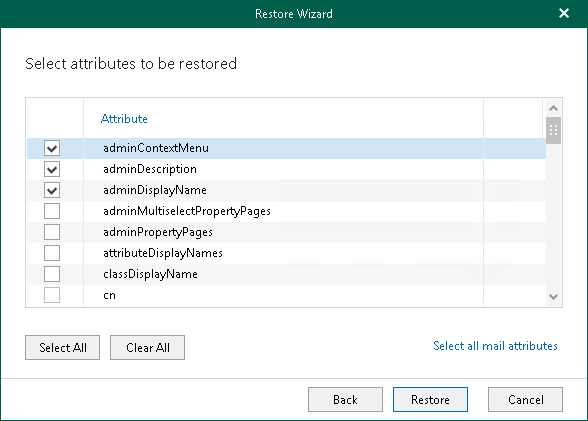 Once restore is complete, review the results shown in the Restore Summary dialog. 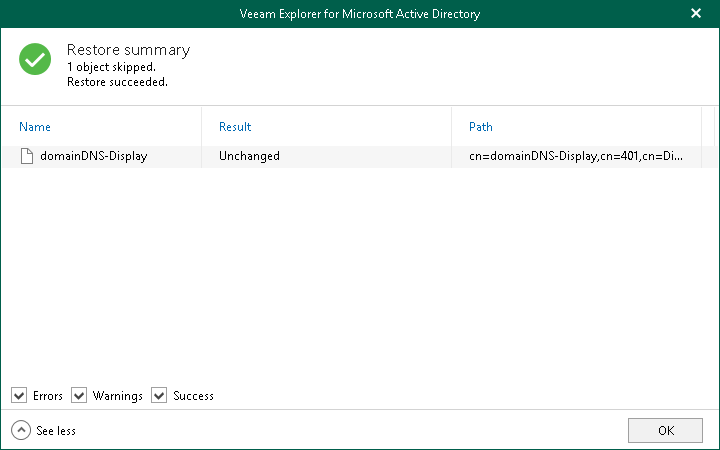 You can select whether to display all types of notifications or only those you need by selecting/deselecting the corresponding checkboxes at the lower-left corner of the dialog.